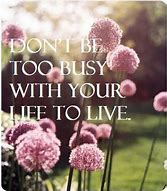 Time after time I must remind myself to not be too busy with my life to live. When I now have to stop and ask myself about how did I actually work a full time plus job outside of my home and still get all things accomplished, then I know that it is time to slow it down and take a breath. LIVE! I am in control of my schedule and what I do and when. Even though I am retired from that full time job of 10 hour days when I was lucky (several times a month it was closer to 13) I am aware of going overboard on certain aspects in my life. That is the good news because it means that I am somewhat self aware. The most important goal that I have is to finish my novel to the point of getting it to an editor. Then, there is my weekly blog to continue to work on. This is very important to find my creative "voice" in writing. There are times that my blog is read by over a hundred people a day and other times that I get two readers. I suppose that some blogs are more interesting to more people than others. That is okay. I am writing and that is the important thing. Throwing that out there takes me to the fact that in order to write in my voice, I must have authenticity and to do that I must be self-aware. This fact has been proven to make one grow much faster than others in their productivity. Having a clear understanding of my own personality, including my beliefs, emotions, motivations, strengths and weaknesses will take me, I have discovered, further toward my goal. YET, still give me the time along the way to enjoy living my life; thus the picture and saying at the top of my blog. 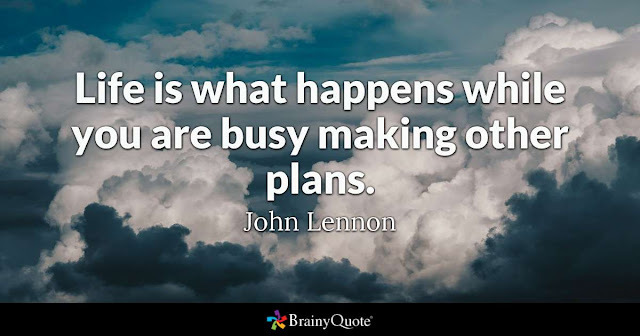 Be busy in a good way. Sometimes, I have learned that one can't put a time limit on long term goals. When I begin to feel overwhelmed, and asking myself why can't I get it all done, I need to take a step back and allow myself to see what is causing this problem. 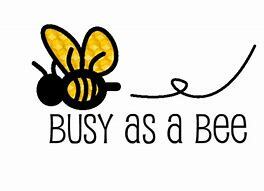 Almost always is putting too much on my plate at one time instead of delegating out specific times to get things done. My days run much more smoothly when I am to bed early enough to get up by 7:30, dress and have breakfast. Fact! Then use 30 minutes to have a quiet time to meditate and reflect, find my positive mantra of the day which I post on FaceBook. Read my e mail and check local, national and international news, then disengage from the internet. Time to get busy writing and revising through my storyboard or on line with my chapters. So that I am not sitting still all day, it is fine to get up, move over a load of laundry, take dishes in, refill coffee or water and even take the dog out. My dear sweet husband usually does this. I must admit though, I did get more writing done when I left my study and went to an offsite location to write using my laptop. I may have to start that again just to jump start my writing. Then once the time is put in for writing what I feel is a reasonable amount in my novel, or the ideas need to marinate for a bit before beginning again, it is time to work on the project that I have given myself, "Tidying Up with Marie Kondo. She has gotten to me. I know myself and it would be way too overwhelming to just dump it all out. I must do a section of a closet or a couple of drawers at a time so that I am taking my time. Already, I have taken three bags to a donation site. Another project that I have not been able to get into, due to nobody's fault but my own is to paint. I really want to paint some guitars for decorations. The best place for me to paint is in our inside out room (screened in porch) so this is best done in weather that is not frigid nor so overwhelmingly hot and humid that breathing is difficult. For now it will be another goal that is on my plate and that is to read more. I am happy to say that I am off to a good start this year. One must know their limitations and there is no way that I or the two of us in this house can clean it in the way that we like for it to be cleaned. We do have someone near and dear to us come in on a weekly basis to take that off of our shoulders. When our cleaner underwent knee surgery, we hired out someone ever other week and we took care of the in between week. The house was not the same. Lucky for us that we can afford this and make it work in our budget. The same with grocery shopping. We were spending way too much time weekly grocery shopping. Plus, we bought things on impulse and things that we already had because neither of us could remember seeing and it was not on the shopping list. What the heck, just pick it up and add it in the cart. Now the grocery does that for you on line and then loads it in your car. The amount of time and money that this has saved us is tremendous. It has been proven that those with high self awareness live happier and more fulfilling lives. The scientific reason for this is that they become more confident in finding and expressing their authentic selves, they are proactive instead of reactive, they have deeper thoughts and this reveals their true purpose. Ralph Waldo Emerson's quote: "If I have lost confidence in myself, I have the universe against me." This is exactly how I feel if I don't remain self aware. There are several techniques that I continue to use to help me stay away from losing my confidence and work on my awareness. Each day a brief meditation with a positive mantra and journal writing to reflect on how I felt in what was accomplished for the day. Also, if you have family members and close friends who can give you feedback concerning your actions, beliefs and motivations, I have found this to be essential. Some will be positive and hopefully they will know how to share with you a bit of constructive criticism; just a simple question of how is your book coming along can get me back on the right track. If anyone reads this comment, can you please try to make a comment back to me? Google has changed things around and I am not understanding the changes. I went from having comments, to many readers a day and now I have 2 or 3. Also, the countries where my readers were as few as 10 and as many as 30, now I have two. Something is wrong.